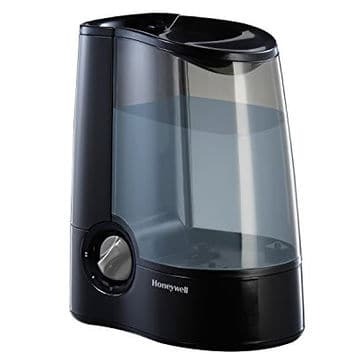 The Honeywell HCM-6009 Quiet Care Cool Moisture Console Humidifier has 9-gallon output per day and covers spaces as large as 2300 square feet. Great for allergy-sufferers. 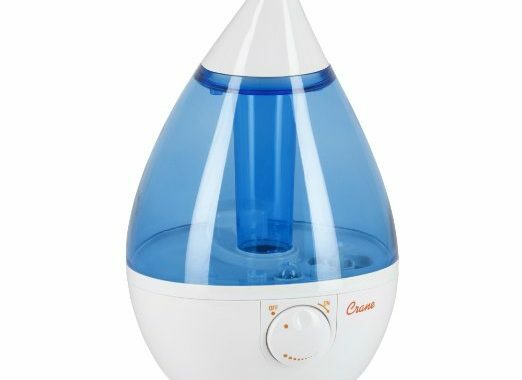 This humidifier has a unique air washing technology that helps to reduce typical allergy symptoms. This technology cleans dirt, dust, and pollen. The Honeywell HCM-6009 has a unique round shaped design. It is quite large and heavy. Height x width x depth is 17.5 x 21 x 13 inches and weight is 21 pounds. But the unit is easy to move because of the casters and built-in handle. The QuietCare HCM-6009 has some really great features. It has a Protec Antimicrobial Cleaning Cartridge for fresher, cleaner moisture. Adjustable moisture control and various output settings. Automatic shut-off. The QuietCare HCM-6009 will automatically shut off when your wanted moisture level is approached or when the water tank is empty. Twin tanks for easy filling and carrying. Wide tank opening for easy cleaning. The QuietCare HCM-6009 has a QuietCare Operation. 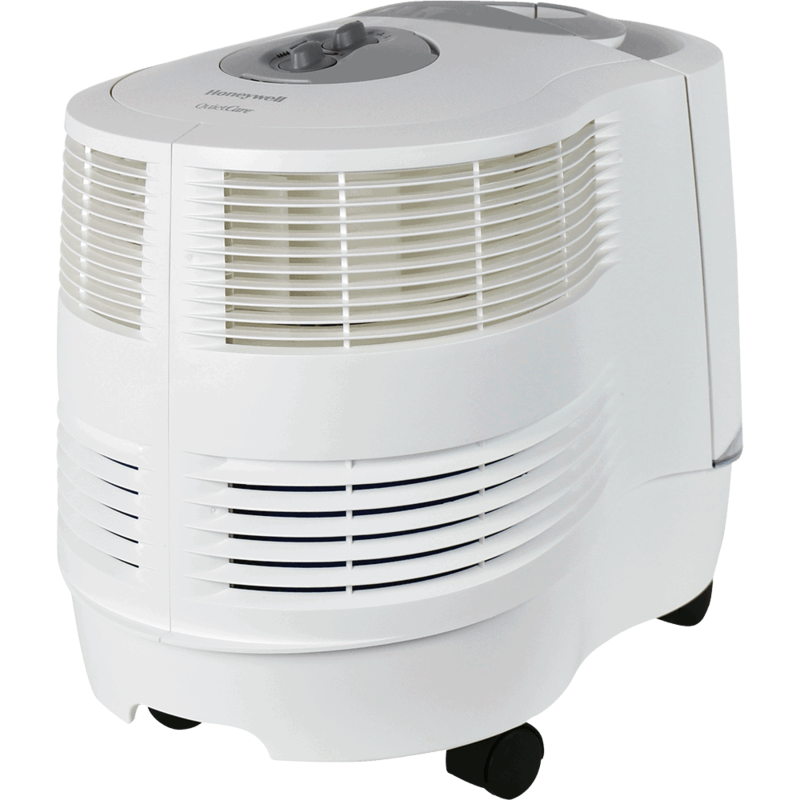 Manufacturers say that it helps reduce operating noise and makes the humidifier 30% quieter than similar models. Well, the levels low and medium are really quiet but the level high is significantly louder. But don’t get it wrong. Yes, it is too loud to sleep but OK if you are talking or watching TV. 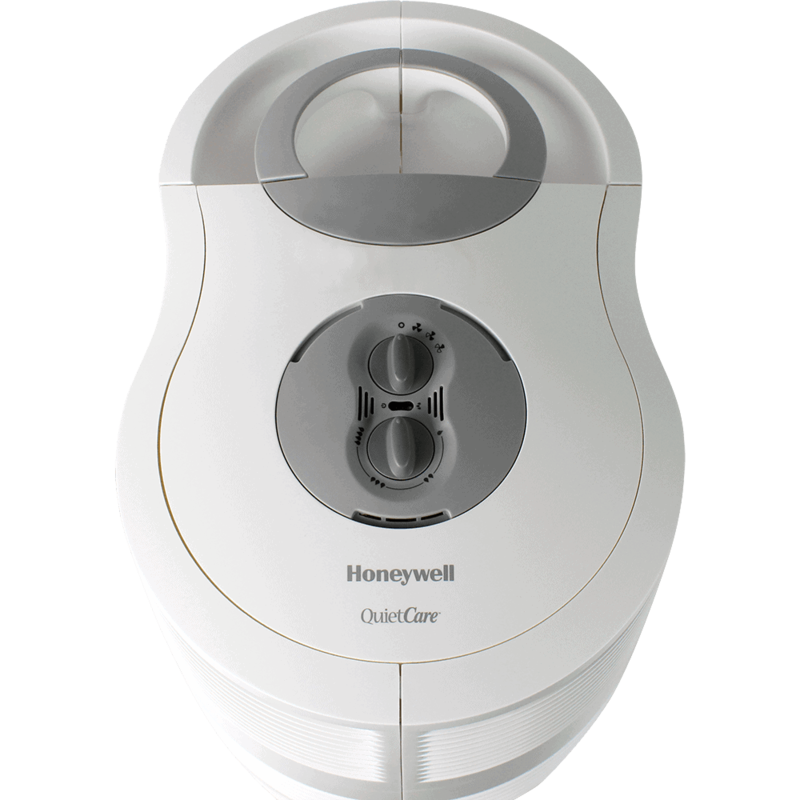 The Honeywell’s QuietCare HCM-6009 maintenance has confirmed to be easy and totally manageable. Typically you will have to refill both tanks every day, but the refill regularity will vary. Uses less power than an 80-watt light bulb. 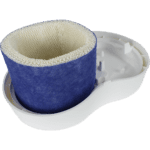 While the Protec cartridge and antimicrobial treated filter blocks most undesired build-up, the unit requires regular cleaning and filters should be replaced regularly. 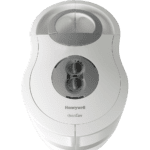 The Honeywell’s QuietCare HCM-6009 has a great reputation in the market. 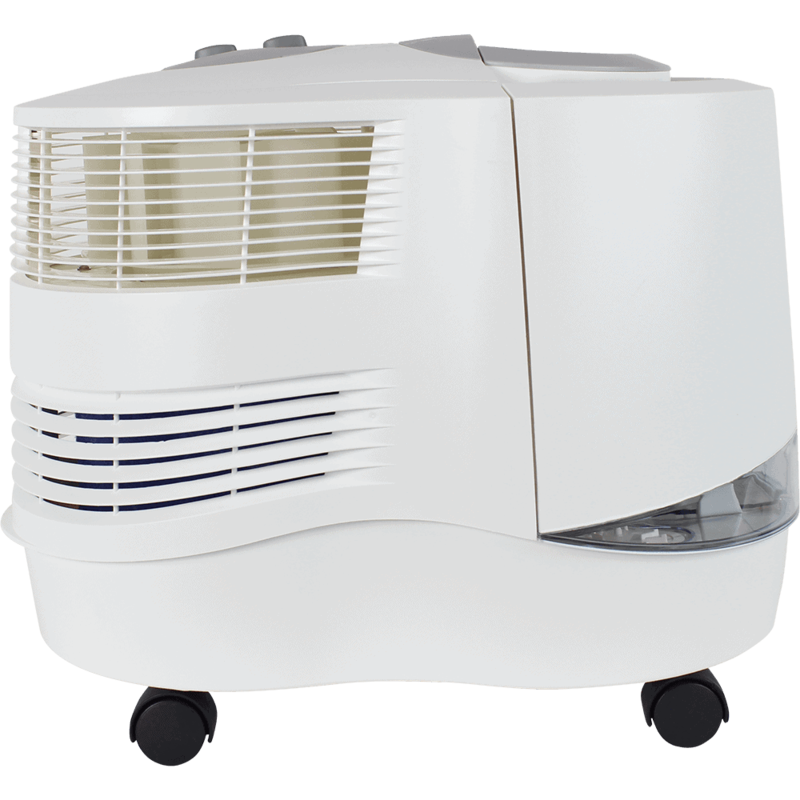 The unit does its job great – with high-level setting your room humidity level will rise extremely fast. 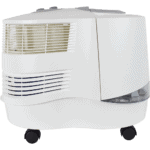 It has high capacity, large tanks have handles, filters also the air in the room. 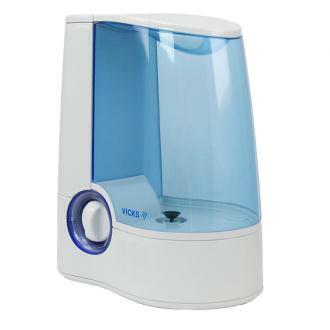 Great humidifier with some valuable additional features. 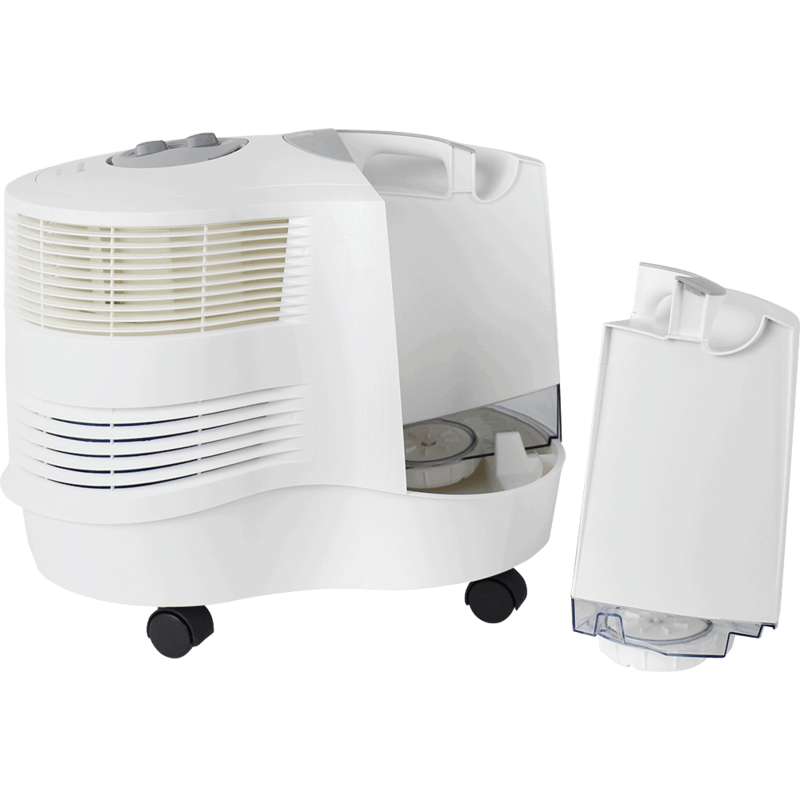 Read our full humidifier buying guide here. 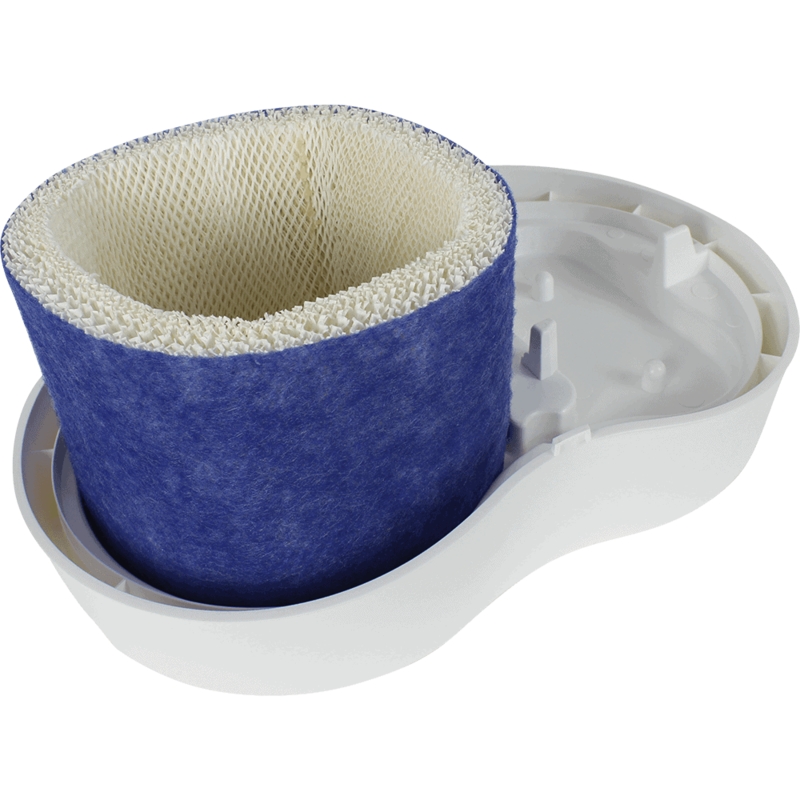 See Indoorbreathing humidifier comparison charts. 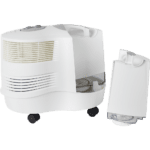 (Humidifiers by mist type, by type, by price and coverage area). 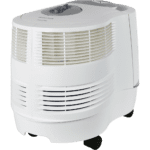 Posted in Humidifier Reviews, Reviews and tagged air washer, Cool mist, honeywell, Humidifier, Humidifier review.